Apple's has publicly rolled out its suite of productivity apps to all iCloud.com users, allowing anyone with an Apple ID to create, edit, share and store documents online. After a limited launch among selected users in July, the company has now added Pages, Keynote and Numbers for all iCloud.com users, although the apps remain in beta. The document, presentation and spreadsheet apps appear on the dashboard after sign in and users are able to dive straight in, access and edit previously saved documents and create new ones. Any changes made to documents will automatically be synced back to the same app on Mac OS X and the mobile iOS software. 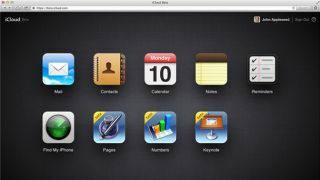 Apple's roll out gives the company a chance to rival Google and Microsoft in the cloud-based documents space. Both rival companies have been at it for a while with Google Docs (now part of Google Drive) and Microsoft's Office 365 solution, so Apple has plenty of catching up to do.